Posted Thursday, October 29th, 2015 by Greg Gladman. How much time do you spend at work? Chances are, you spend more waking hours in your office than in any other room save the bedroom—so it’s important to make your office a space where you want to hang out. Regardless of what you’ve been told, it is possible to mix work and pleasure. We’ll show you some ways to make your office more enjoyable. Take a moment to consider those offices that you find attractive. Are they colorful? Do they inspire creativity? Office design is about more than just arranging furniture and computers to ensure an efficient work space. It’s about combining all the elements of your work space into an arrangement that draws you in. If you’re a nature person, bring in some plants. If you like organization, look up what other people are doing. More filing cabinets may not be the solution. You could even bring in a swing! Posted Thursday, October 22nd, 2015 by Greg Gladman. It’s that time of year again: Halloween. Whether you’re trick-or-treating, hosting a party, or just passing out candy, it’s time to dress up and be someone or something that you can’t be the rest of the year. 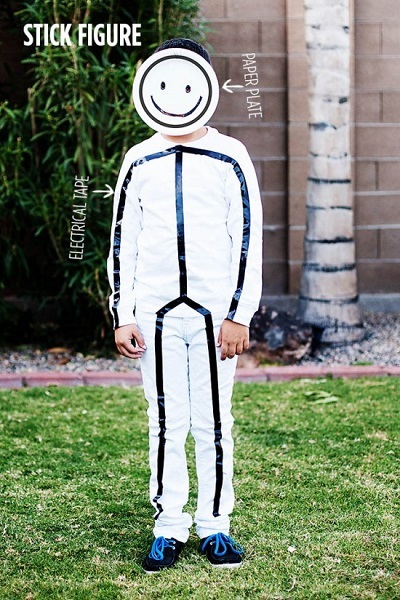 We’re here to help with some simple-costume ideas for you, your little ones, and your pets. There’s no need to rush out and spend good money on a store-bought costume. You probably have everything you need to make an awesome disguise right in your home. If you want to keep things really simple, throw on some black pants and a black garbage bag. Presto, you’re a raisin. Have an old white sheet? Cut out a couple eye holes, throw it over your head, and you’re a ghost. This stick figure is easy to make, and creative too. Click on the photograph credit for 28 other DIY ideas. Posted Thursday, October 15th, 2015 by Robyn Warner. Are you planning a Halloween party? If so, you need some life hacks to make it easier! Anyone can add red food coloring to a bowl of punch to simulate blood, or string up some fake cobweb with a few plastic spiders in it. This year, why not go the extra mile with the Halloween life hacks below? They’re sure to leave your family and friends screaming for more scary thrills! If you’re hosting a Halloween party, there are lots of ways to create a spooky atmosphere. You could make eyeballs out of radishes, set out a rat cheeseball with a tray of crackers, and make these edible Jell-O worms for dessert. 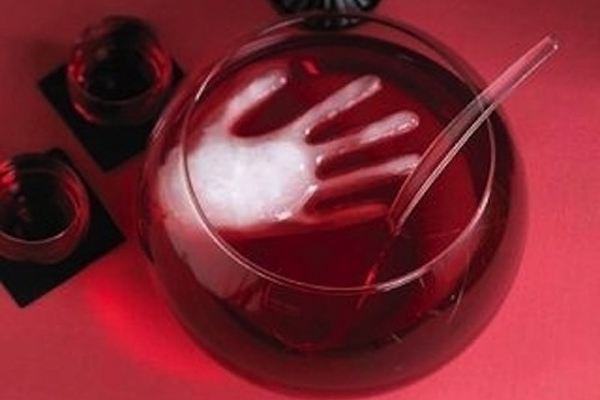 By freezing water in a latex glove, you could even add an iced hand to the punch bowl. Posted Thursday, October 8th, 2015 by Robyn Warner. It’s that time of year when pumpkins, ghosts, spiders, and monsters are not only welcome but celebrated. Chances are pretty good that witches, graveyards, and fake spider webs have begun to make their annual appearance in your neighborhood; that grocery-store aisles have started to display candy; and that pumpkin-flavored everything abounds. If you’re getting into the Halloween spirit, why not stir up a few ghouls, goblins, and other decorations using 3D-printing? It’s scary how many 3D-printed objects you can find. There are Batman-inspired clothes pegs to hold up your drying sheets on the line. There are ghost magnets you can print, with glow-in-the-dark filaments for added spookiness. 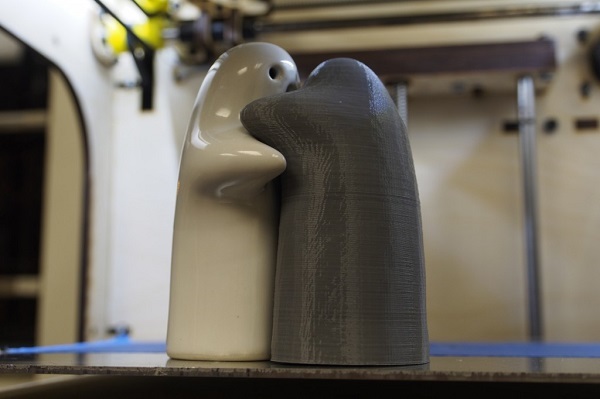 You can even get yourself a set of 3D-printed salt and pepper shakers that look like dancing ghosts. Posted Thursday, October 1st, 2015 by Greg Gladman. What does the United States Synchronized Swimming Team have to do with Epson America? As it turns out, both are making quite a splash in recent news. 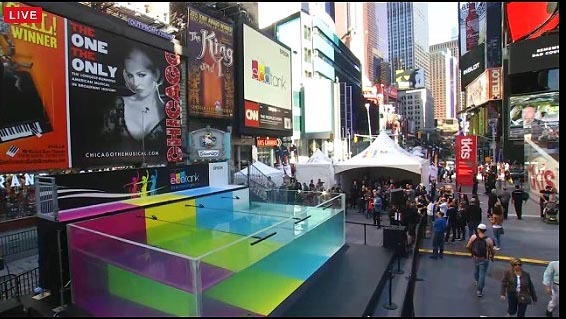 In case you weren’t in Times Square on September 24, the “Swimming in Ink” event featured hourly performances of talented swimmers in a multi-colored, seventeen-thousand-gallon swim tank.